I have been asked often how to prepare a canvas to make it work with my watercolor and layering technique. Golden makes a product called Absorbent Ground. 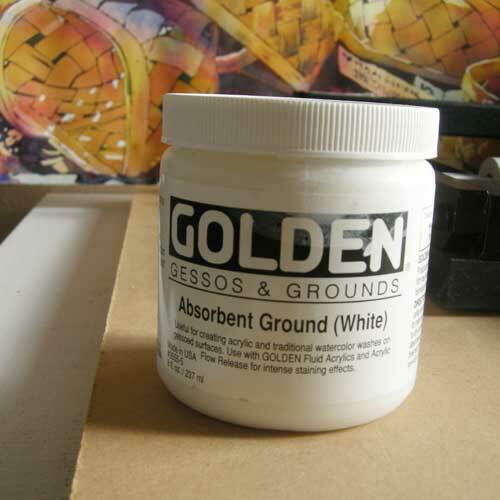 I use White Absorbent Ground, mixed with one part ground and 2 parts water as a gesso on my canvas. It's important to use this mixture over any canvas before painting with watercolor. I like to purchase the pre-gessoed canvas then apply my ground mixture before I paint. I apply 4 - 5 very thin coats evenly over the entire canvas. Allow each coat to dry thoroughly before applying the next. 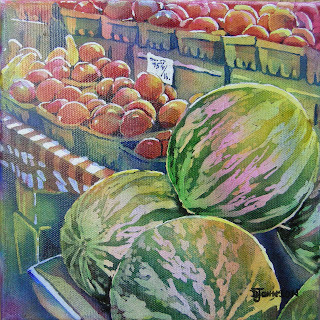 This creates a beautiful, sturdy surface to work on with watercolor. It takes quite a bit of abuse and handles the masking and layering of pigments well also. The most fun part of working with watercolor on canvas is that I can lift it completely if I choose. Use a wet brush and scrub the surface, then dab with a paper towel or dry cloth. It's a fun surface and has lots of potential. Once your painting is complete, spray a clear UV coating over the canvas to waterproof it and protect it. I love to work with gallery wrapped canvases so that I don't have to worry about framing! I am starting a new small canvas today. I'll try to post photos soon. Here is one that I finished and sold recently. 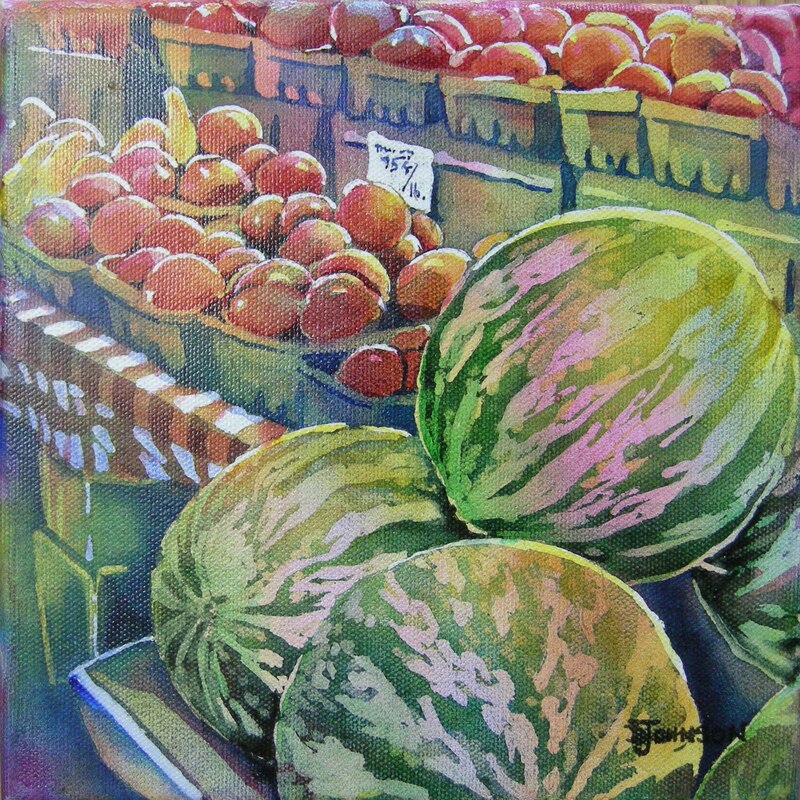 It is called "Eau Gallie Market". Hope you enjoy it and let me know if you try watercolor on canvas! I take ti this is "oil painting" canvas, and not "watercolor canvas", like Fredricks. I am quite interested in doing some wc. on canvas, and I appreciate your article very much. thanks Debbie, does any onw know where to get this in Australia? ?